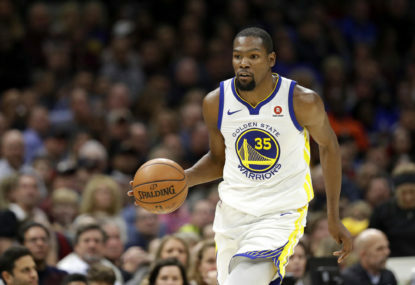 The NBA is one of the most popular sports leagues in the world, and with more and more Aussie playing their trade in States, you won’t want to miss any of the action this season. Here’s all the info you need to make sure you can watch the NBA via live stream or on TV in Australia. Of course, if you’re more interested in watching Australia’s latest basketball sensation, Ben Simmons, head over to our Ben Simmons NBA fixtures page. If League Pass is a bit over the top for you, you can always watch basketball’s premier competition on pay TV. If that sounds like your cup of tea, then you’re in luck; ESPN, the channel which owns the NBA broadcast rights in Australia, doubled their coverage of the competition in 2016-17 and it has remained that way ever since, with a minimum of five live games per week. Aussie hoops fans get 188 matches per season under the current agreement, including the playoffs, finals, All-Star weekend, and all the big regular season games. Normally, it’s broken down with a double-header on Thursday with games on Friday, Saturday, Sunday and at least one earlier in the week. A Foxtel subscription with the sports package included will get you access to ESPN, and comes in at a cost of $51 per month. You can, however, stream all of ESPN’s NBA content through Kayo Sports, which allows you to view all of Foxtel’s sporting content on your preferred mobile device. The Australian TV schedule for the 2018-19 NBA season is now confirmed. All times below are listed in AEDT. The season itself started on Wednesday October 17 (AEST). If you want to be able to watch each and every game this NBA season, then the league’s digital streaming service, NBA League Pass, is your best option. League Pass has three options. The cheapest option, coming in at $11.99 per month, is an NBA TV package, which provides you with up to ten games per week live and in high definition as well as 24/7 programming from NBA TV. However, you can’t watch any games on-demand and many of the best games each week – such as the All-Star game – aren’t available. The standard League Pass package lets you watch every game of the year live or on demand, also in high definition. You’ll be able to check out all the action from the pre-season, regular season, All-Star weekend and the playoffs. You won’t however, get access to NBA TV. This package will set you back $37.99 per month. For the best of both worlds, there is a premium package available for the maddest of basketball fans. For the rather dear price of $44.99 each month, you’ll get every game of the year – pre-season, All-Star weekend, playoffs and finals included – live and on demand, as well as access to NBA TV. Note that season packages go on sale on September 27, and prices may change before then. ESPN will show a number of games from the first two rounds of the playoffs, before they show every game of the Conference Finals and Finals through the end of May and first half of June. More details will be updated on this page as they come to hand with regards to the finals.